LOS ANGELES -- For decades, fans of the beloved "Star Wars" franchise have gone far and wide to pay tribute to the world that George Lucas has created. They sell out movie premieres and dress up as their favorite characters. And now some even pay millions to get their hands on a movie prop. A complete R2-D2 unit sold for $2.75 million Wednesday at a California auction, according to the Los Angeles-area auction house Profiles in History. Luke Skywalker's 43-inch tall sidekick was assembled from components from the original "Star Wars" trilogy as well as "Star Wars: Episode I -- The Phantom Menace" and "Star Wars: Episode II: Attack of the Clones," according to the auction catalog. The films were made between 1977 and 2002. Unfortunately, this R2-D2 won't interact with you. "No internal mechanics or workings are present," the auction house said. The droid is constructed of aluminum, steel and fiberglass, and is believed to be the only complete R2-D2 unit in the public domain, according to Profiles in History's auction catalog. The auction house called it "one of the most instantly recognizable pieces of pop culture in existence." The dome in the droid dates to the original 1977 film when it was used by actor Kenny Baker. The auction catalog said R2-D2 units were upgraded as more films were made, with older components being retired. Before the auction, Profiles in History expected to fetch between $1 million and $2 million for the galaxy's most famous interactive astromech droid, according the catalog listing. The R2-D2 sale was part of the three-day Hollywood Auction, which also included Mark Hamill's light saber from "Star Wars: Episode IV: -- A New Hope" and "The Empire Strikes Back," which sold for $325,000, according to the auction house. 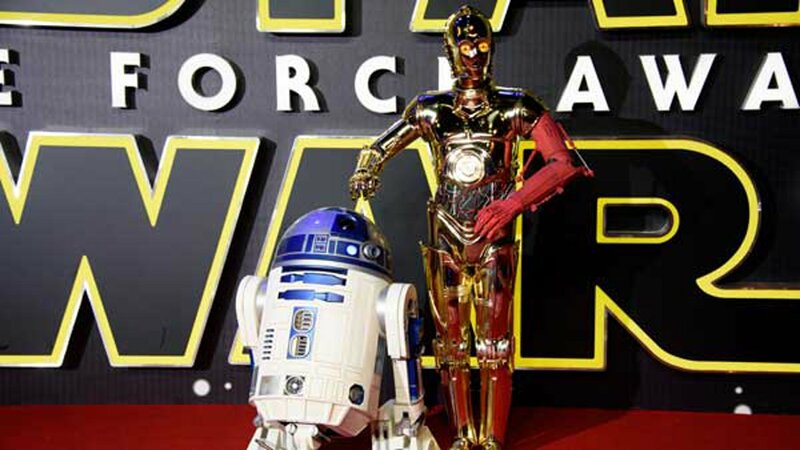 The droid was the most expensive item sold at the auction. The identity of the winning R2-D2 bidder was not immediately available early Thursday. The auction house cautioned bidders that special shipping arrangements would be required after the sale since the droid is in the United Kingdom.